This week’s event inspiration is all about the glam! 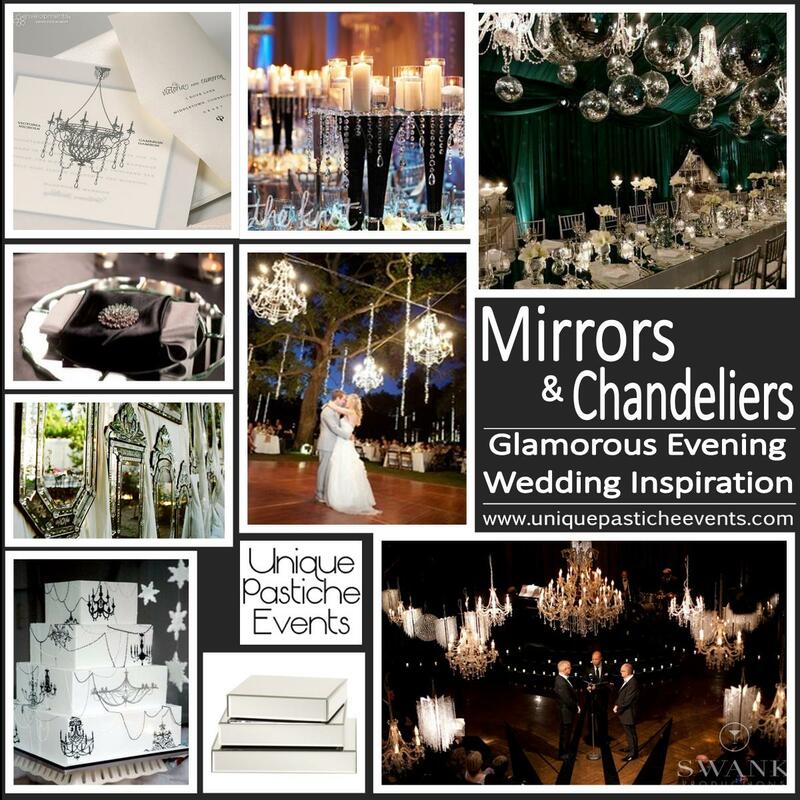 Mirrors and chandeliers, silver and black create this amazing event design. What I love most about this idea is that while it has a very lux feel to it, it COULD be done on a smaller scale. Think about it, not all of the mirrors and chandeliers used are exactly the same. With a little planning, and a lot of time at flea markets and thrift shops, this event could be achieved by any DIYer out there patient enough to keep on hunting. Lighting – this is a no brainer. You are going to need quite the team to hang all of these chandeliers and get them working. And mirrors are just no good without some light to reflect. Evening – the later in the day, the better. To really make the glam feel of this event come to life, you are going to want the chandeliers to be the light of the night, and that just won’t happen in the afternoon lighting. Check out where these lovely images come from…. What is your favorite part of this inspiration board?